We report on the temperature effects on the dynamics and recombination characteristics of molecular beam epitaxy (MBE)-grown GaAs/AlxGa1-xAs quantum well using photoluminescence and terahertz time-domain spectroscopy. The photoluminescence spectra undergo a redshift as temperature increases, as described by the Varshni equation. Furthermore, the terahertz emission was found to increase as temperature increases. This result is attributed to the increase in the number of phonon acting as scattering sites in the crystal lattice at higher temperatures, thus effectively decreasing carrier recombination lifetime. A. De los Reyes, J. P. Afalla, L. Lopez, J. D. Vasquez, M. A. Faustino, H. Bardolaza, R. Sarmago, M. Tani, A. Somintac, A. Salvador, and E. Estacio. 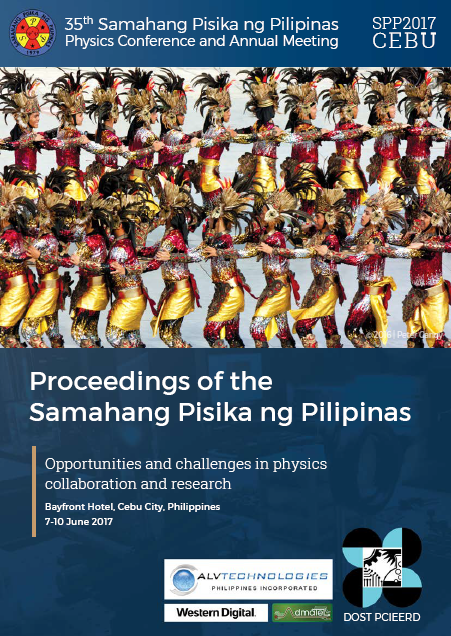 Photocarrier dynamics in MBE-grown GaAs-AlxGa1-xAs quantum well investigated via temperature-dependent photoluminescence and terahertz time-domain spectroscopy, Proceedings of the Samahang Pisika ng Pilipinas 35, SPP-2017-2C-07 (2017). URL: https://paperview.spp-online.org/proceedings/article/view/237.